Are you looking for a venue to host your next year-end function? The Liquid Lounge is a unique function venue, ideal for your company’s year-end party. Our only advice to you, is to book early so that you can enjoy you year-end function aboard our luxurious river cruiser! The Liquid Lounge is used for all types of functions and events, offering a beautiful upper sun deck, perfect for a cocktail setup and buffets, as well as a lower deck for a more formal dining venue. The Liquid Lounge is a very versatile venue, and can be transformed to fit the theme of your party or event. Let our capable function coordinators help to plan your year-end function. Contact us today for more information and pricing, and to book the date you desire! Plan well in advance: The key to a successful year-end function or corporate event is to plan ahead. This will ensure that there is enough time for all the arrangements to be made and to ensure all your vendors are booked in time. Book your venue: Once you have compared all the venues you like and have found the most suitable year-end function venue that fits your budget, book it as soon as possible. The end of the year is a busy time for venues, so make sure you book the venue you desire early to avoid disappointment. What’s on the menu? Once you’ve got the venue, the fun part starts. Decide what type of menu you want, like a buffet, finger snacks or set menu, and talk to the venue coordinator to see what they can arrange. Pick dishes that will be enjoyed by all parties present at the year-end function. Final touches: This includes the theme, decor and entertainment required for your Vaal River year-end function venue. Find out what the Liquid Lounge has to offer to make your year-end function a memorable one. 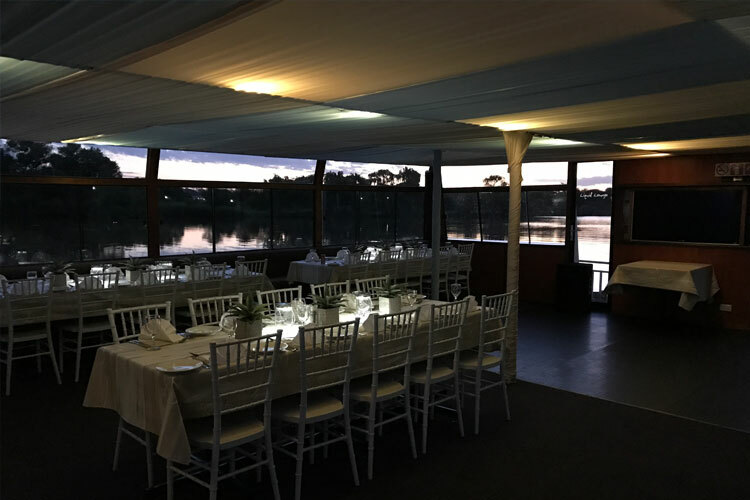 Seek the help of an event coordinator: Our professional and helpful function coordinators will see to it that everything is taken care of for your year-end party on the Vaal River. 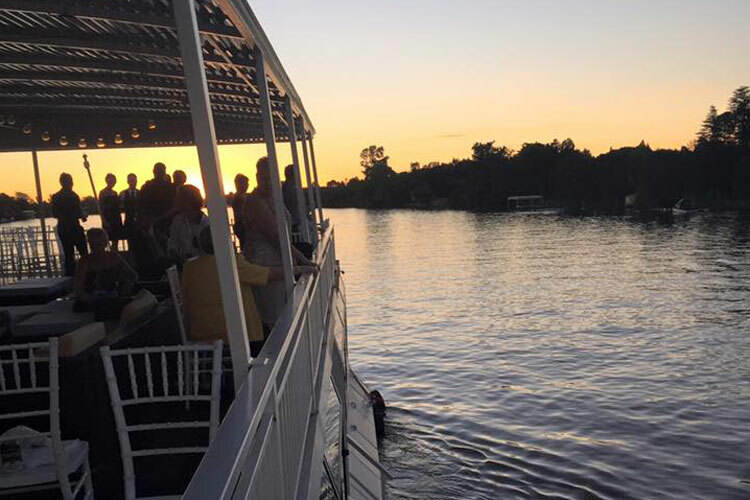 What is more relaxing and enjoyable than a river cruise whilst enjoying a refreshing drink with your colleagues to celebrate another successful year? Treat your employees and co-workers to a memorable day out on this Vaal River year-end function venue. For more information, to get a quote or to arrange a site visit, contact Liquid Lounge today. 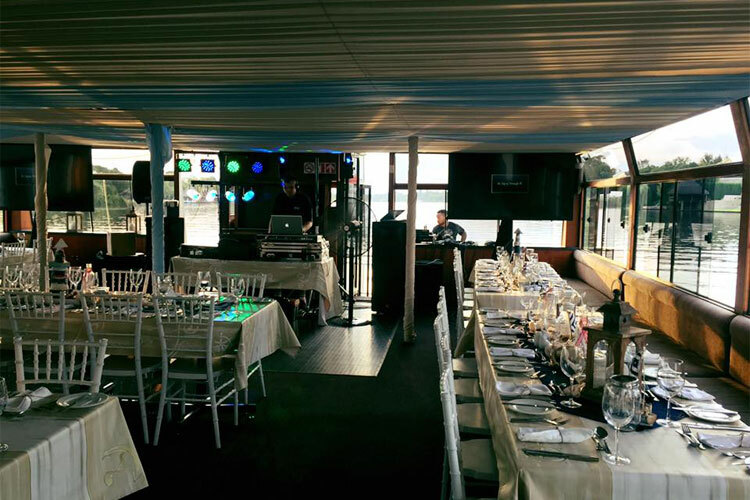 This Vaal River function venue is ideal for weddings, corporate events, private parties, also offering Sunday lunch cruises with family and friends.